In case your Eye Tracker menu is receiving error messages and it's not connecting, please try out the suggestions below. First, please make sure that your Eye Tracker software is up to date. You can download all the latest software on https://tobiigaming.com/getstarted. If you're having connection issues, please ensure that if you're using an extension cable that you have an active extension cable or a powered USB 3.0 hub. Also, make sure that the eye tracker is properly connected to a USB port. Generally, the USB ports at the back of your PC tower provide more power than the ones in front. If you're using a Predator monitor with an integrated eye tracker, please make sure that the USB Type A to B cable is properly connected to your monitor and computer. If the eye tracker is still not connecting, make sure to try all of your USB ports. You can also try to unplug any other devices that are plugged into the same USB controller in order to give the eye tracker more power. Open Device Manager and expand Universal Serial Bus controllers. 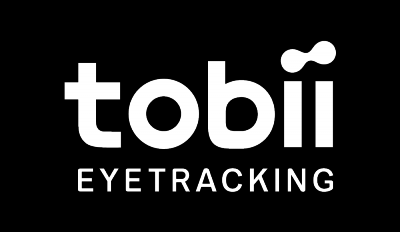 The driver for your Eye Tracker is named EyeChip. Please click to open. Are there any error messages for the driver? If so, make sure to update Windows so you have all the latest updates for WinUSB. Please check if there are any driver updates available for your USB Controller. Open the Driver tab for your USB Controller and check the driver date and the driver version. Then please check online if there are any new updates available for the USB Controller. The driver should not be older than from 2014. Don't also forget that rebooting your computer sometimes performs miracles. If you don't manage to get the eye tracker going or no miracles happened, then please contact us in support and we'll help you out further.